Teddy joined JK this September and he learned a lot already. Before going to school we tried different apps and educational programs, but still he has some areas which need improvements. For example, he tends to write mirror reflection of some letters like “B” or “R” or numbers like “4” and “2”. He also needs to manage spaces between letters and numbers when writing. Preschool and Kindergarten learning kids games free for toddler app helps kids with different skill level to learn writing letters and numbers. We like that it is interactive, colorful and vivid. Some letters are quite easy to write and other requires concentration, practice and attention. It is great app to encourage your kid to write more and practice more often. When Teddy uses this app, he has to write a letter/number twice, first following the arrow and dots and second one without ones. Overall, my child attitude to this application is more like to a fun game than an educational assignment. That way Teddy is eager to learn and spend more time on developing his writing skills. 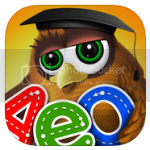 ABCs alphabet phonics & Montessori learn to read app for toddler is great app to learn reading and writing. 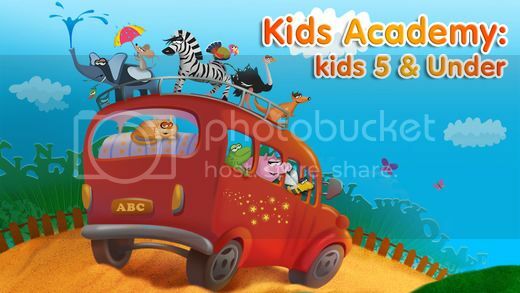 Kids enjoy colorful, friendly and interactive characters. I like how kids develop and learn through the games. It looks easy and funny, but I see how our kid learns so much simply by playing mazes. Teddy catches rhyme words, remembers them and uses later in his speech. The app is based on Montessori learning method intended to develop preschool & kindergarten age kids spelling, writing and reading skills. The app helps kids to write letter following dotted line and hints to make sure everything is correct. Upper case and lower case practices are separate to make sure a child gets the difference between them at the beginning. We like that the vocabulary is age-appropriate and our kid can do all the tasks at his own pace. Bingo ABCs alphabet phonics song with farm animals cards for toddler free is a fantastic app to learn through the popular song. The lyrics are simple and kids love it. Great way for children to learn the spelling through the familiar words, where letters appears one by one and in different color. As you know BINGO loves many activities at the farm and now you can follow him using this app. Interesting feature is that you can sing in a Karaoke session and record your singing. There are also games to play with farm animals’ cards and fun surprises at every turn. Bingo song has never been so fun and entertaining. Kids sing and learn through favorite song – catchy and interactive. Great app for kids who love singing and have fun.